Is the data centre becoming a commodity? 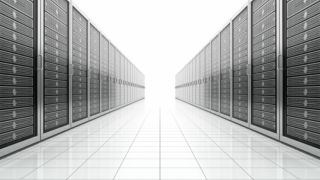 For those working in the fast moving world of cloud computing it is easy to take the somewhat arrogant view that the choice of data centre is irrelevant; that although it is an essential piece of the jigsaw, one data centre is just the same as another when compared to the complexities of differing IAAS and SAAS platforms. The data centre however is a very long way from being a commodity. A commodity typically has 3 characteristics; the product is the same, the quality is the same and the price is the same. And because the products are interchangeable they are usually bought and sold via efficient spot markets which exactly match supply and demand and which prevent any suppliers earning excessive returns. Data centre products vary in many ways such as Tier level, space and power capacity, connectivity options, service levels and location. A good data centre service also needs well trained staff and embedded policies and procedures. These parameters directly affect both the quality of the product and its price although interestingly it is the data centre location more than its quality that dictates price. It is surprising that quality is not the prime driver when you consider the affect of a data centre outage. IT infrastructure is like an inverted pyramid. At the bottom is the cheapest element, the data centre service. It is staggering to think that the cost of this per rack (at NGD at least) is only £20 per day or less. So a data centre outage is massively amplified as you go up the stack. An example of this is the recent lawsuit by Sears. In January this year a 5 hour outage at their main data centre was estimated to have cost $1.58m in lost profit. That's an awful lot of trust to place in a service costing £20 per day and it explains why there hasn't been a "rush to the bottom" in terms of price and quality. Although the data centre market has seen new aggressive players offering very low pricing most buyers are too cautious (and savvy) to automatically choose the cheapest option. By comparison if a new, cheaper brand of petrol emerged most of us would be happy to use it. The data centre market, by its nature, is also a very long way from offering a spot market. For suppliers the high upfront investment and economies of scale inherent in data centre provision mean that data centre capacity cannot be scaled up and down to match demand. Instead data centre operators seek to lock-in customers with long term contracts which will guarantee return on investment. Furthermore the barriers to entry for new suppliers are high. Not only does a data centre require suitable land, a good power supply and planning permission it demands an upfront investment of well over £10m. This is not for the faint hearted and while there are new entrants they have not changed the market paradigm. Interestingly cloud services do share some of the characteristics of commodities. One virtual machine is the same as the next, their supply can be scaled up and down and they can be bought and sold on a short term "spot market" basis. Moreover the barriers to entry in cloud services are very low. A fully fledged cloud service can be offered using a single rack, a couple of servers and some storage and with current prices good margins can be made. As a result there are already hundreds (maybe thousands) of cloud service providers and more are emerging every day. Ironically it may be that cloud services are the next commodity and cloud providers will see their margins competed away while data centres remain relatively unaffected by the new IT world.